Today marked the beginning of a new chapter in the story of the Bream Creek Farmers’ Market. 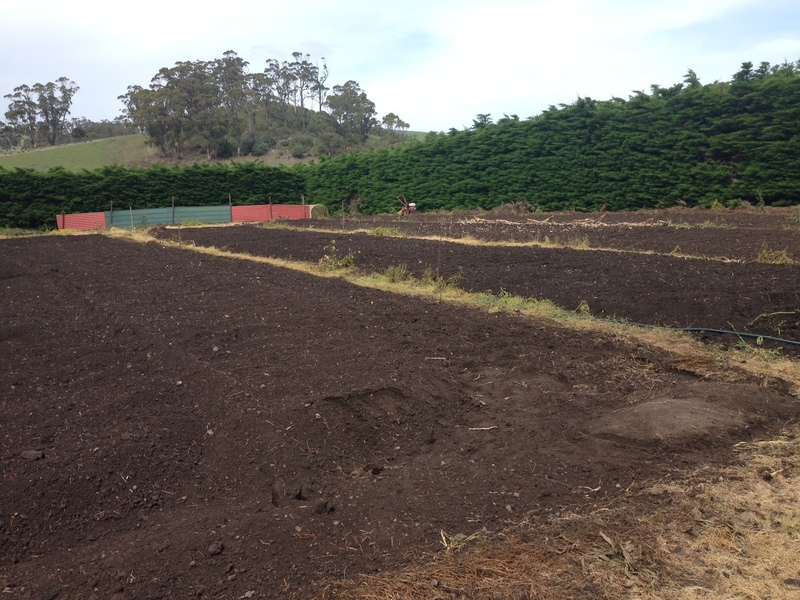 We recently applied for funding to enable us to establish a Market Garden at Bream Creek in order to provide more fresh, local produce for the monthly Market and for a regular supply for our wider rural community. We are delighted that John Bignell and family offered to provide an established vegetable plot on their dairy farm to enable us to get things underway. We arranged to meet John there today to discuss the proposal in general, only to find a beautiful plot, already rotary hoed, fertilised and watered by yesterday’s rain. We are ready to get things underway. We can’t wait! If you would like to join us and be part of this new community project and offer your expertise, advice and assistance along the way, or if you are keen like us, to learn about growing vegetables in a market garden setting, then we’d love you to join us. We aim to develop this beautiful plot, with lovely sun and a view to Maria Island, to ensure that it becomes a local, friendly gathering place for everyone with a love of fresh produce. In fact, we are so keen, we are going to start planting tomorrow, Monday 10 November. John’s plot is in Burnt Hill Road, just down the road from the Bream Creek intersection. Come and join in or have a look at what we are getting underway, starting at 4.30pm. Children are welcome to come. You don’t have to get your hands dirty yet – we are just as keen to chat with anyone about the project at the same time as we plant the first seeds. Or feel free to call Elizabeth, Ellie or Allison to register your interest. We would welcome all the help that we can get – horticulturalists, permaculturalists, farmers, green thumbs, enthusiasts, child minders, constructionists, hydraulic engineers, teamakers, seedling growers, flower lovers, herb gardeners – there is a role for all of you, and more. We are really looking forward to you joining us. Heard about the market garden through my local crochet group from Val who lives at Forcett she said it was amazing.